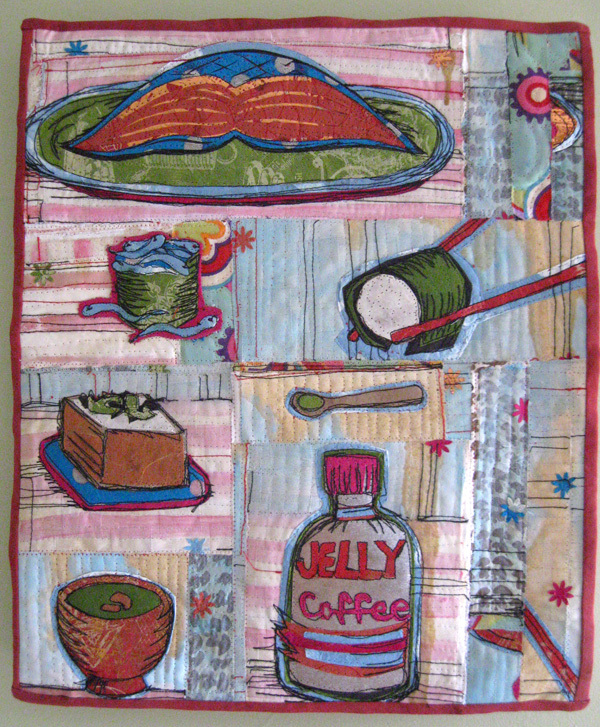 This neat little piece – “Sushi for Breakfast” – is by Jen Swearington, artist, textile and clothing designer, and BERNINA Artisan. Jen’s quilts have been featured in national exhibitions, books, and magazines, including the cover of Fiberarts magazine. In 2003 she founded Jennythreads, where she produces hand-dyed and/or hand-printed clothing and accessories. See more of her work at www.Jennythreads.com.